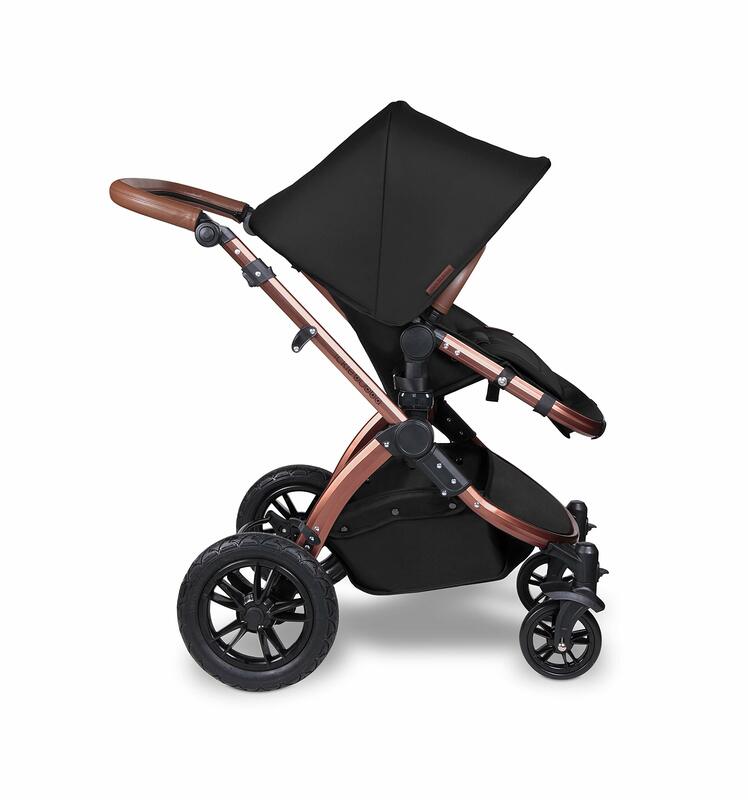 LIGHTWEIGHT, QUICK FOLD AUTO LOCKS: 6.5kg chassis with wheels. 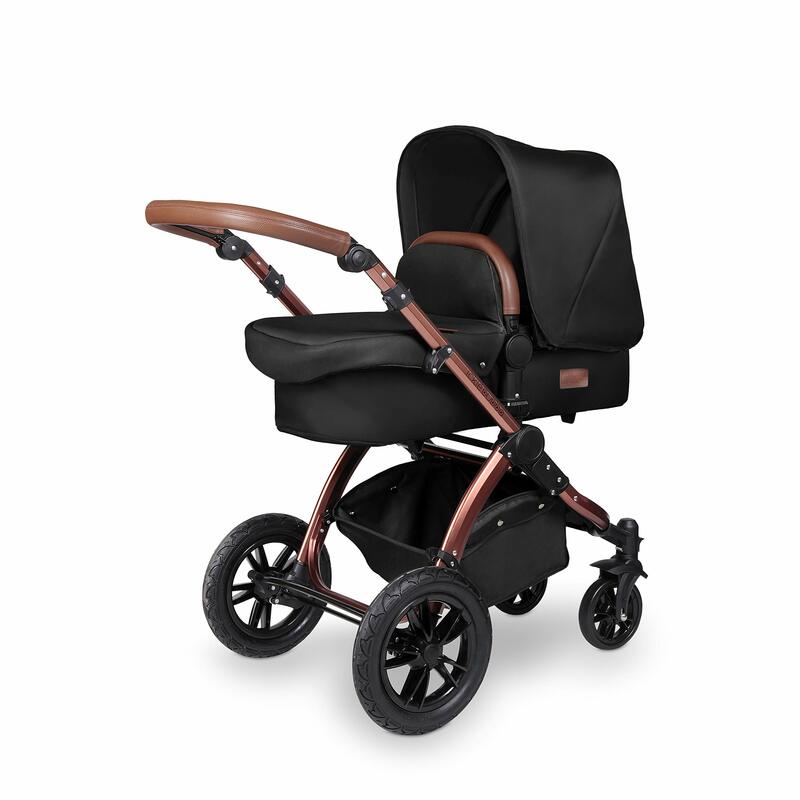 STYLISH AND ATTRACTIVE: Two tone complementary design with leatherette accents. 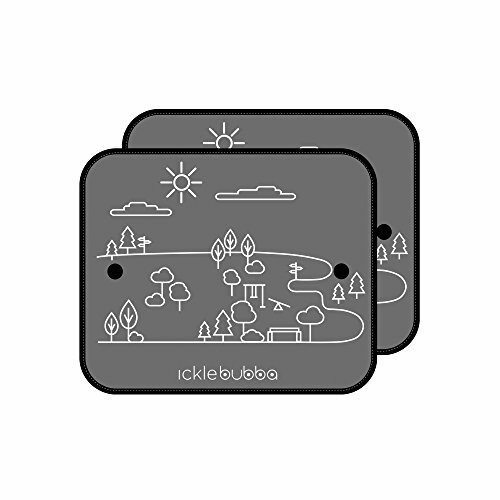 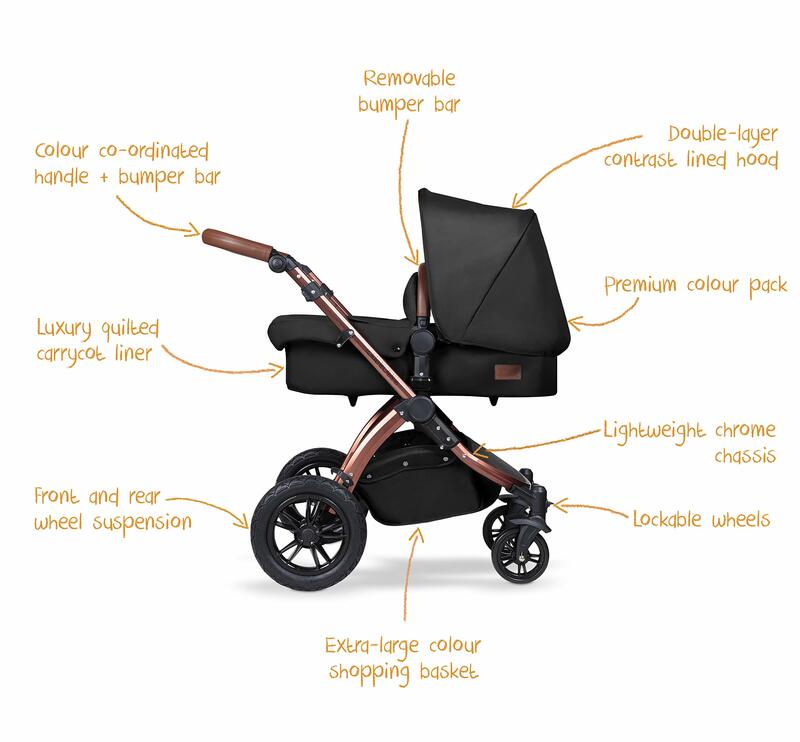 Inspired by nature, the Ickle Bubba Stomp V4 Special Edition All-In-One Travel System is an integration of style and value that is seamlessly brought together through quality and design. 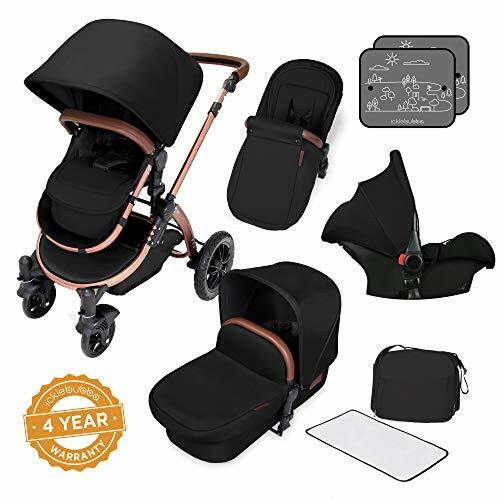 The Ickle Bubba Stomp V4 comes as an all-in-one package including a Galaxy Group 0+ Car Seat and a host of accessories to make a complete bundle from birth to three years. 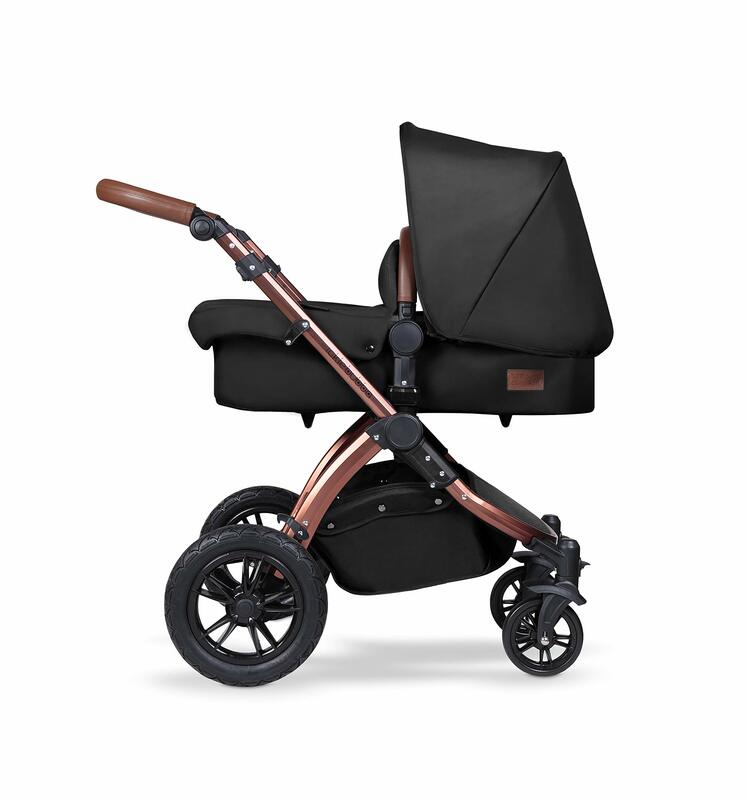 Made with a lightweight aluminum frame, it weighs only 6.5kg – perfect for easy transportation and storage options. 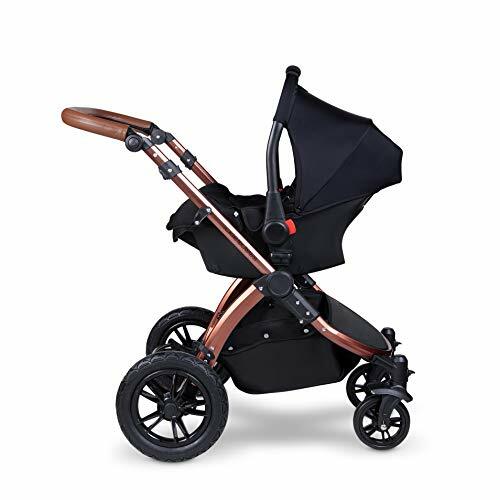 The 360° front swivel wheels make for easy maneuverability and can be locked in place to cover rough terrain; perfect for adventuring with your little one! 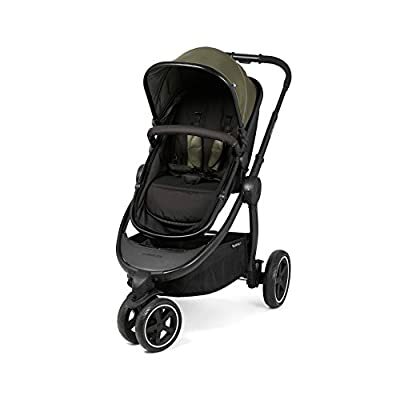 Suiting your baby from birth onwards, the Stomp V4 has multiple configurations for your little one: the carrycot mode suits your baby until six months in a lie-flat position, whilst the pushchair mode is suitable for your little one from six months until three years (or 15kg) – with forward and rearward facing options. 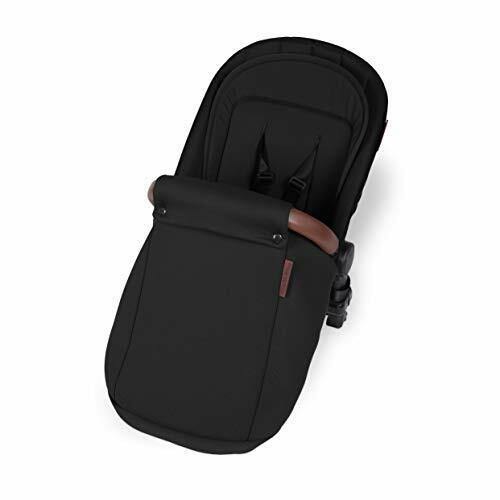 The included car seat is ideal for your little one from birth until 13kg and comes included with a three-point safety harness for added security whilst on the go. Designed with equal consideration for functionality and style, the Stomp V4 also comes with a leatherette handle and bumper bar upgrade; along with a host of accessories that include a rain cover, changing bag, changing mat, carrycot apron, seat liner, pushchair foot warmer, car seat foot warmer and two car window sun visors. 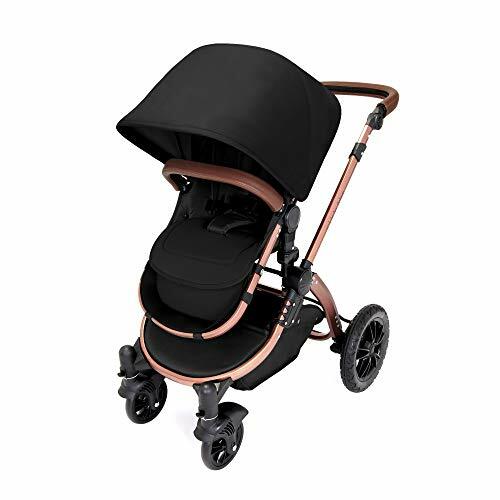 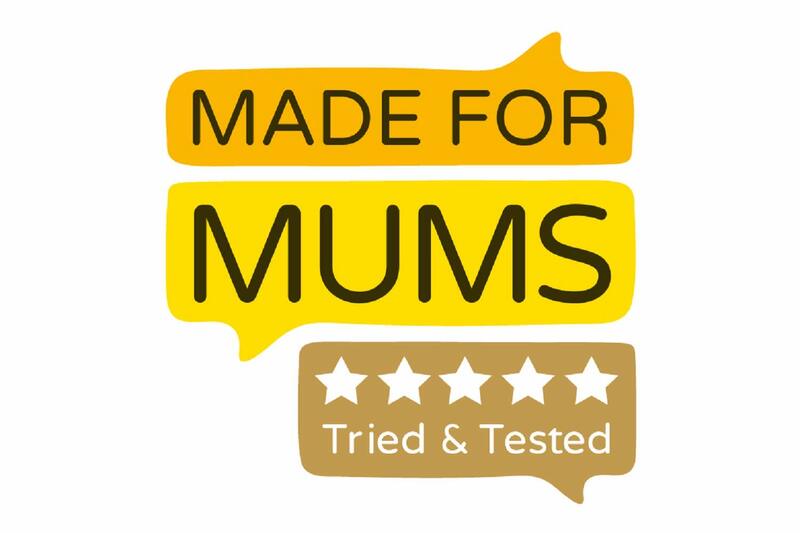 In addition to this, this travel system is loaded with special features, including a luxury quilted carrycot liner, a contrast lined double-layer hood, as well as a super stylish chassis – making this a truly unbeatable package that offers great value for money without compromising on functionality or style. FORWARD AND PARENT FACING TODDLER SEAT: Multi-position recline allows your child to lie comfortable for naps or sit upright to take in the sights. 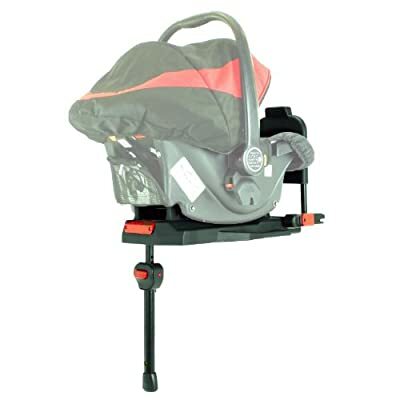 ADJUSTABLE HANDLE: Adjustable handlebar is comfortable for parents of varying heights. 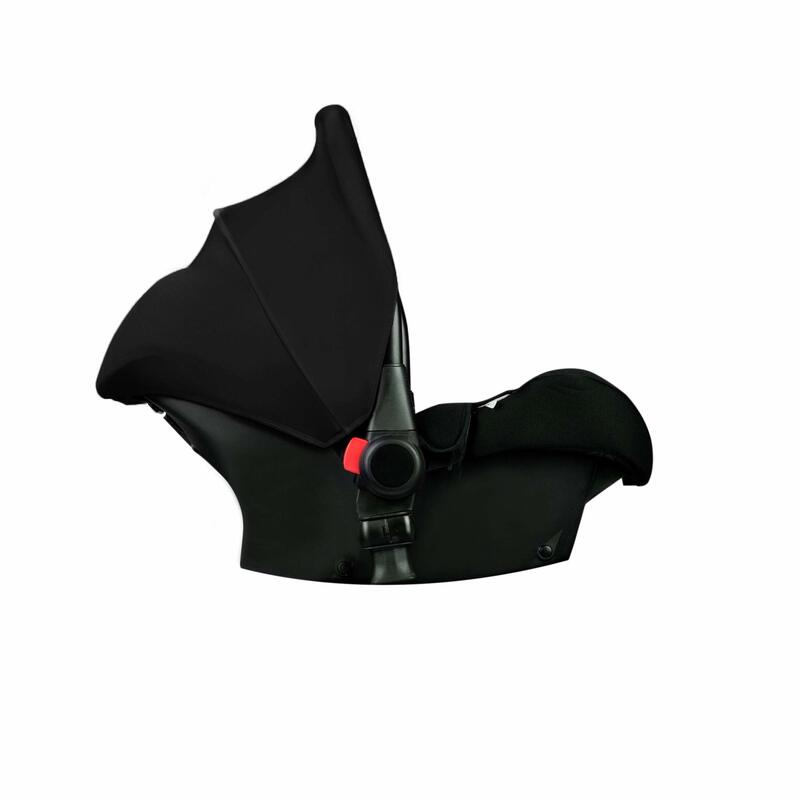 ALL-WEATHER PROTECTION: Raincover to protect your child from sudden downpour. 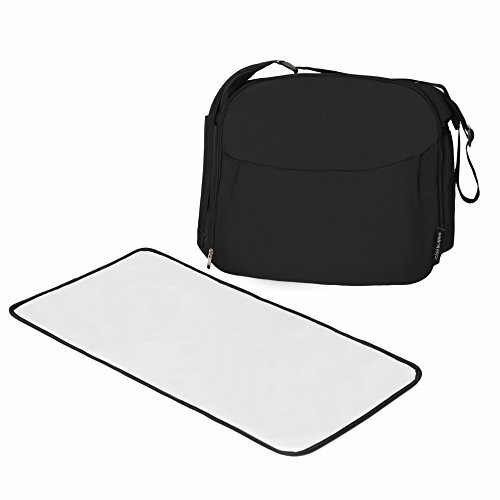 Machine washable and roomy FOOTMUFF. 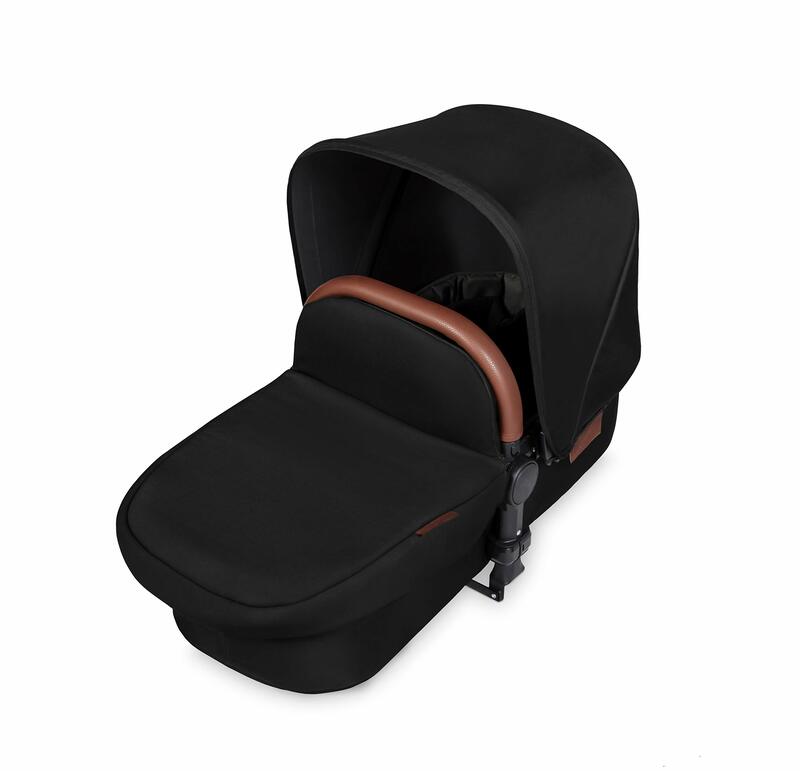 NEWBORN CARRYCOT, SUPER SOFT LINER: Luxury removable liner with soft harness. 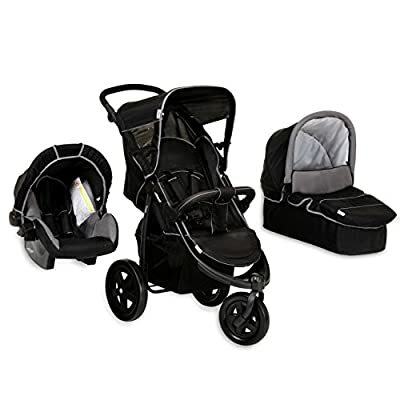 Suitable from birth – 6 months.